Meet your new BFFF (Best Friends For Fall). Not as heavy-duty as a puffer, not as lightweight as a cardie, our fall jacket picks are the perfect cold weather companions. This season, our favorite silhouettes are dipped in autumn’s jewel-toned hues, cleverly crafted in faux leather, super soft suede and sturdy cotton. Layer these smart styles over your fall staples––from plush sweaters and plaid shirts to body-skimming knit dresses and distressed denim––and top off your look with a warm layer of cool. 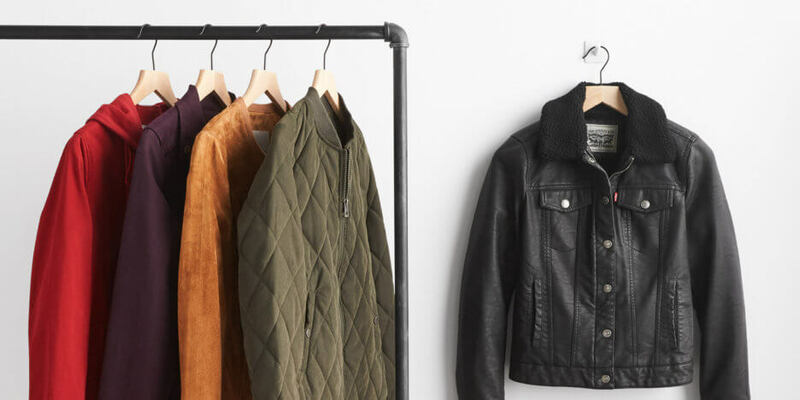 Check out the fall jackets we’re all wrapped up in. Nothing says “cool” quite like a leather jacket––even those of the faux variety. Maybe it’s that bad-boy vibe left over from the rock bands of the 60s, 70s, and 80s. Whatever it is, this versatile all-weather closet staple can put a casual chic spin on just about any outfit. Team it with a pair of distressed boyfriend jeans and a plaid shirt for a low-key look, or layer it over a little black lace dress for a fancier affair. 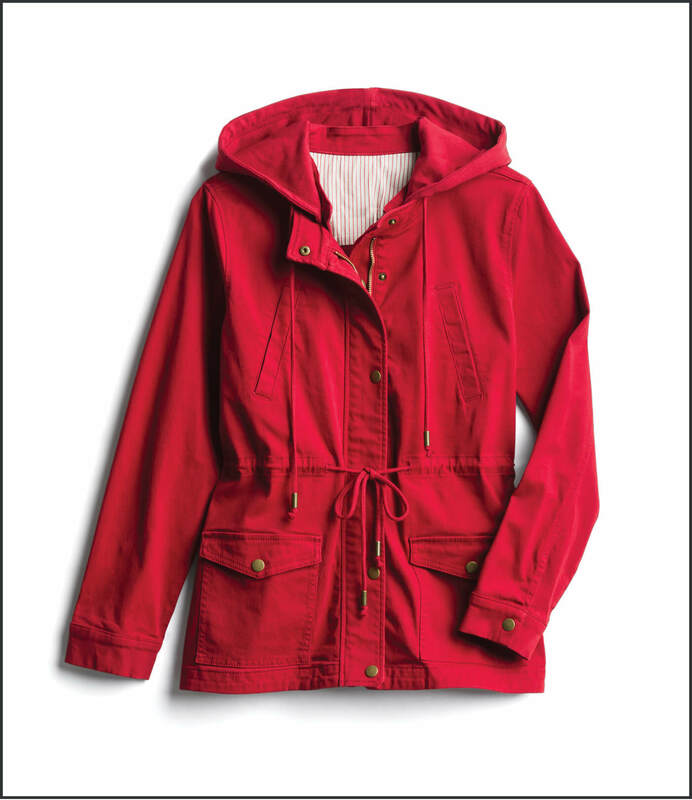 Utilitarian in more ways than one, the cargo jacket makes an appearance this season in bright colors (racey red!) as well as the original army green. This lighter weight jacket can be styled in a multitude of ways, whether you’re pairing it with a soft tee and comfy leggings, or getting your girly on in a flowy dress and classic pumps. Keeping your other pieces neutral sets up the bolder-hued jackets for instant style stardom. Little did Irving Schott know that his first motorcycle jacket, the “Perfecto,” designed in 1928 and sold for an astounding (for the times) $5.50, would go on to become one of our most coveted street-style jackets. No longer relegated to rough-riding Harley dudes, the moto has the uncanny ability to turn just about any ensemble into something sleek and special––even more so this season, thanks to richly-colored riffs on the classic black silhouette. We love the contrast of a sugary sweet floral dress paired with a stretch twill moto. Go ahead, channel your inner rocker chick. Think leather brushed to a buttery softness, and you’ve got suede. 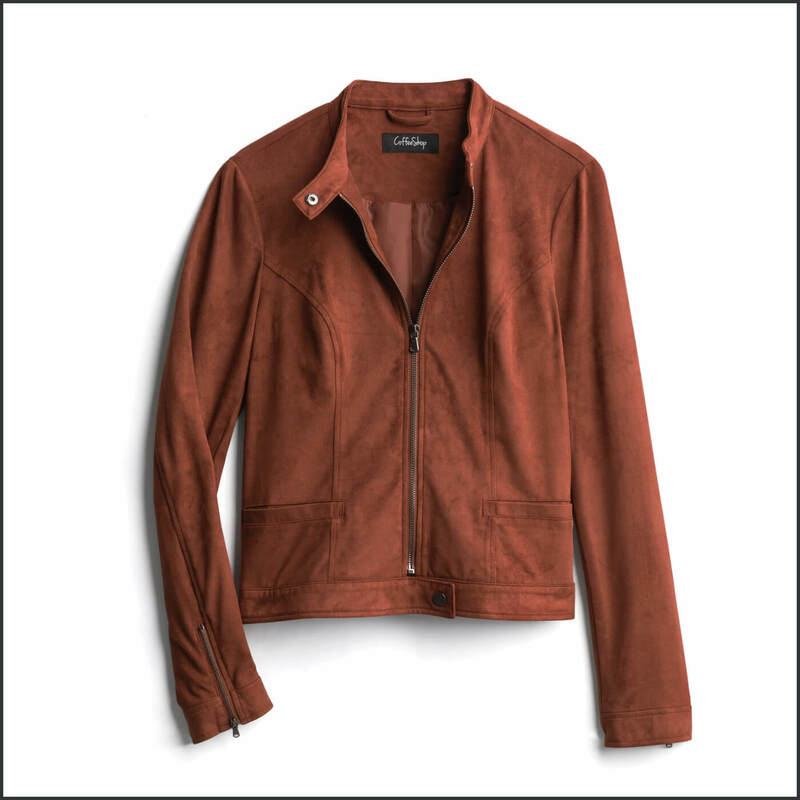 A suede jacket will keep you toasty without that bundled-up, bulky look. While it does require a bit more care (spills or stains can be a pain. And rain? No, no, no! ), we think it’s worth the extra effort. A suede jacket instantly elevates your outfit. Try a tailored silhouette with your favorite high-waisted jeans and a cute crop top. The seasonal juxtaposition is sure to be a crowd-pleaser. A timeless piece of outerwear traditionally made of leather, the bomber originated in the first World War and was worn by flyboys to keep the chilly cockpit temperatures at bay. Today, this versatile jacket, ingeniously reinvented for civilians, is offered in a multitude of colors, cuts and fabrics. 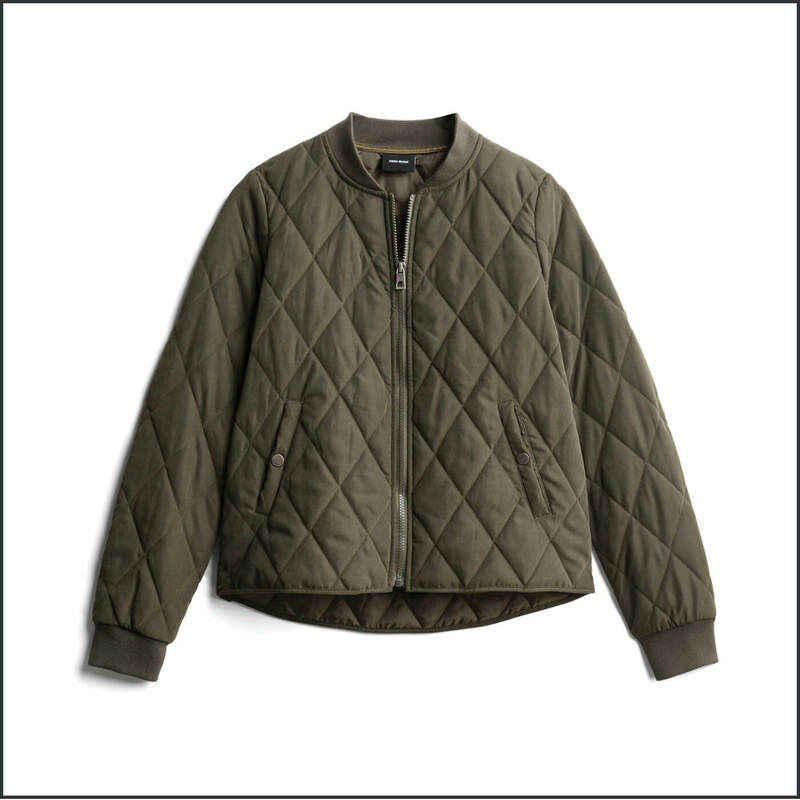 We’re especially fond of quilted olive (not quite military, but close). A less structured hemline gives it a femme feel. Wear it for warmth with your favorite jeans and booties, or pair it with a frilly frock to add edgy attitude to your outfit. 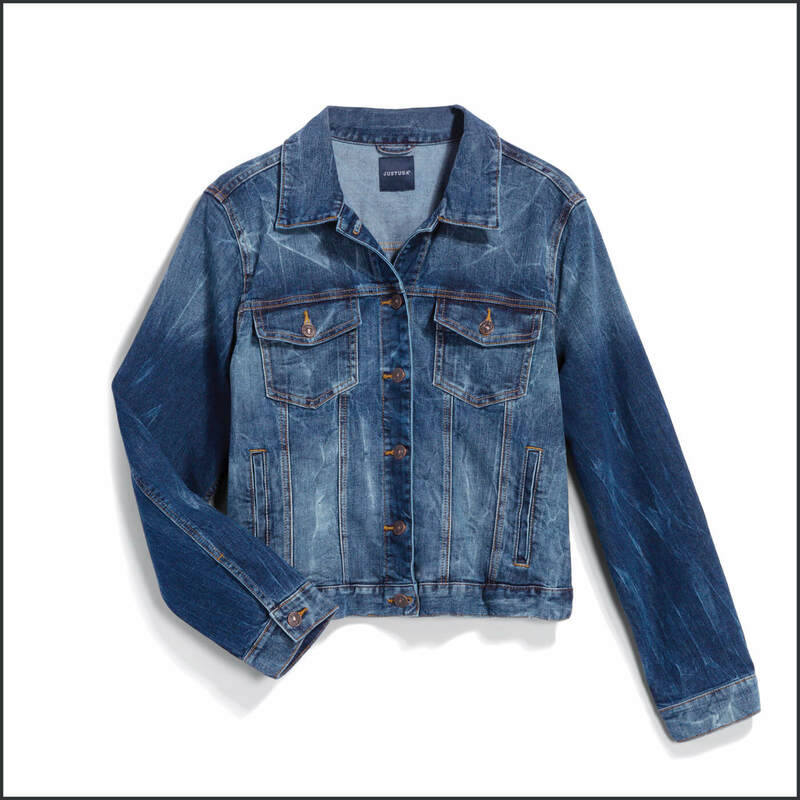 Long, cropped or somewhere in between, denim jackets are one of the most versatile closet staples and a top pick for this season’s love affair with layering. 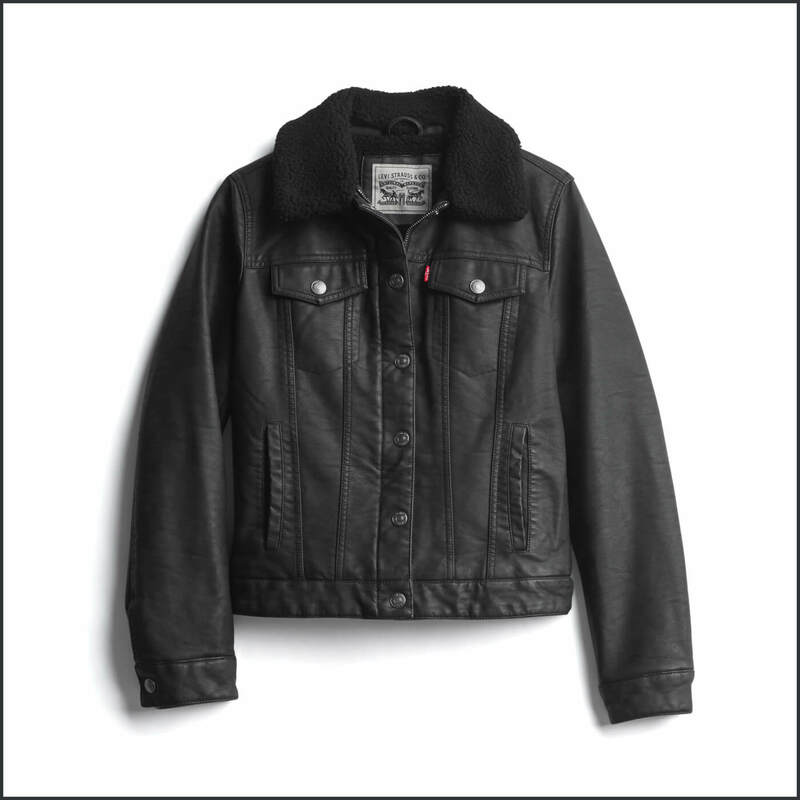 We’re currently crushing on the feminine take of the working-man’s classic Trucker jacket with its flap-covered pockets and button-up front. Try it splashed in a stone wash, layered over your favorite knit dress (or even a summery frock!). Add leggings and booties for warmth. Of course, jeans work equally well, just make sure the dye is not too matchy-matchy and you’re golden. 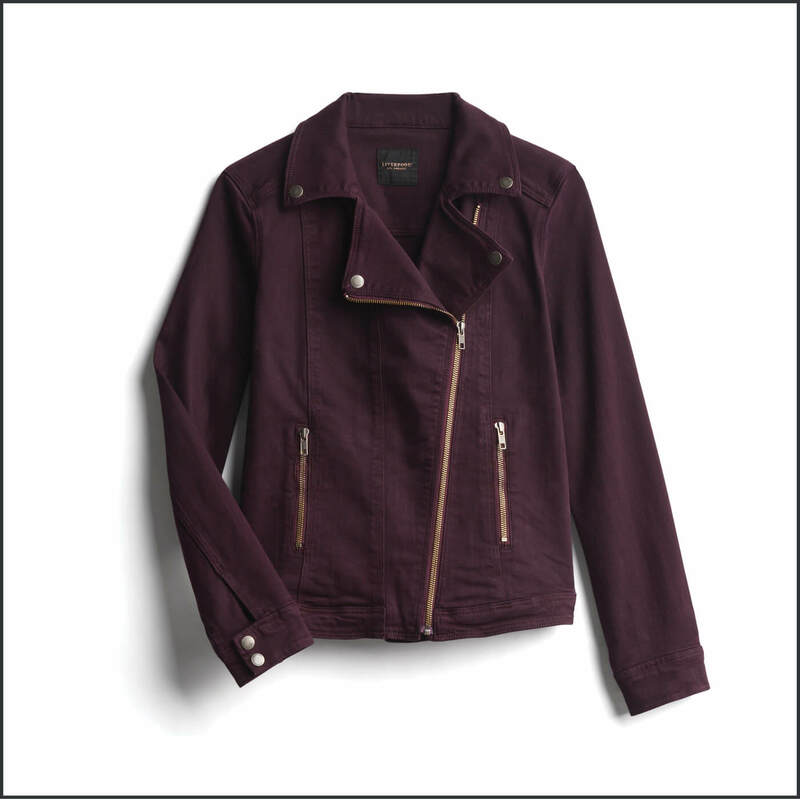 With such a plethora of fall jackets to choose from, it’s hard to know where to start. Ask your Stylist to surprise you with a toasty topper to complement your unique style.